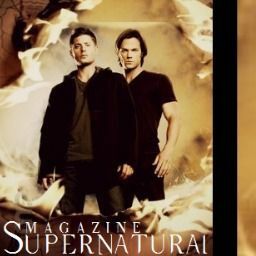 Supernatural, the heartbreaking and side splitting show it is has captivated our attention for years. So it&apos;s understandable as a writer, in fan fiction especially to be fascinated by the thought of continuing the brothers story with your own twists and unique characters. But I think we can all agree, it&apos;s just a chance to bring back the characters we miss so dearly and even write in their shoes for a day or two. Although, I must confess that no matter how many times I&apos;m left screaming at the tv as the finally credits role, wondering what could be going through Kripke&apos;s head to do such a thing, I find common ground. I think we can all agree the death toll has hit an all time high this season, with enough devastation to flood a room with tears. Especially after the mid-season finale, but it also can stand as a reminder to the fans having difficulty writing a book with the qualities of this deviously manipulative show we&apos;ve grown to love. Having been writing my own Supernatural fan fiction for the past few months I&apos;ve learned there really is no limits to what you can write. Supernatural after all has gone from killer clowns to suicidal teddy bears. You can&apos;t get any crazier than that. So don&apos;t be afraid to step out of your comfort zone and try something new that&apos;s never seen before by the SPN fandom. I find those are the best stories in general. I&apos;m all for someone fitting their character into scenarios that have already happened if it&apos;s done cleanly, but I also like to read something new. An adventure Sam and Dean have yet to encounter. That way I get to experience the fast paced and laughable moments of the show in a whole new way. You may just find me screaming at the computer by the end of the chapter. Another big thing I like to see when people bring the world to life, is all the different genres. Supernatural can range from horror, to paranormal, to comedy and lets not forget romance. Although, I&apos;m sure Sam would like to forget considering how well all his love interests have turned out in the past. I may have taken that to far, but it&apos;s true. Romance can make or break a book for me. As a reader I&apos;m a sucker for sappy, sure. But I&apos;m not one for the whole book being centered around a love story. It&apos;s the odd books I find with unique relationships that encourage me to read on. 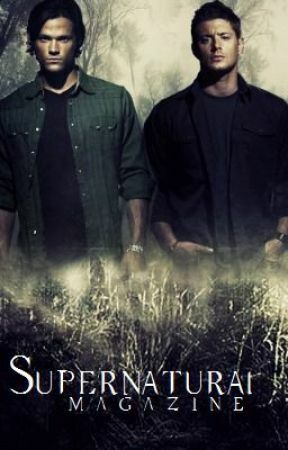 I&apos;ve read supernatural fan fiction where Sam and Dean have a lost sibling, or take in a damaged hunter. Those are the interesting reads, the ones that grab my attention. In a story where anything is possible with these characters it doesn&apos;t hurt to be creative and do something no one else has thought of. Most of all, don&apos;t lose sight of what you&apos;re writing. It may seem overwhelming with character development and thickening plot, but remember to come back to the roots from time to time. Just like the show, they&apos;ve moved on from the basics of hunting, but from time to time they come back to what started it all. The same goes with writing. Don&apos;t be afraid to resort back to what  the show is all about, saving people, hunting things, the family business.